Mr. Kenneth R. Shelby age 79, of North Vernon, formerly of Salem, passed away Sunday, January 20, 2019 at Columbus Regional Hospital. Mr. Shelby was born August 26, 1939 in Salem the son of Ivan C. Shelby and Katherine Elizabeth George Shelby. He graduated from Salem High School in 1958. He worked for Smith Cabinet Company in Salem for 9 ½ years and retired from Cummins Engine Company. He was a member of Diesel Workers Union and Muscatatuck Archery. He was an avid fisherman and hunter. He loved spending time with his family and playing cards. Kenneth is survived by his wife: Mary Lou Overshiner Shelby. They were married September 3, 1960. 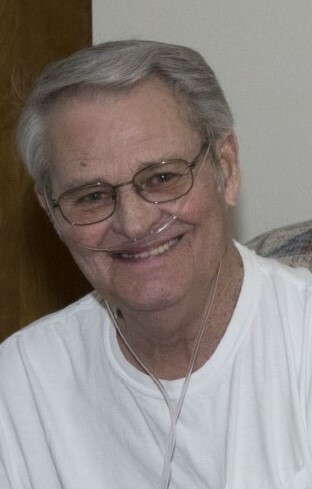 He is also survived by a son: Dr. Kenneth R. Shelby Jr. (Hallie) of Folsom, California, a daughter: Lori Lee Shelby Carr of Beaufort, South Carolina, three grandchildren: Jeremy Daniel Carr, Andrew Ryan Carr, and Eileen Christeen Shelby Brown, and four great-grandchildren: Jackson Declan Carr, Seth Anthony Romo, Danae Brown and Kaydi Brown. Funeral services will be held Thursday at 1:00PM at Weathers Funeral Home. Burial will follow in Crown Hill Cemetery. Visitation will be Wednesday from 4-8PM and Thursday from Noon-time of service.